‘Momentum’ is a dance show that makes a connection between the dancers and the audience through the palpable feeling of movement in a shared space. 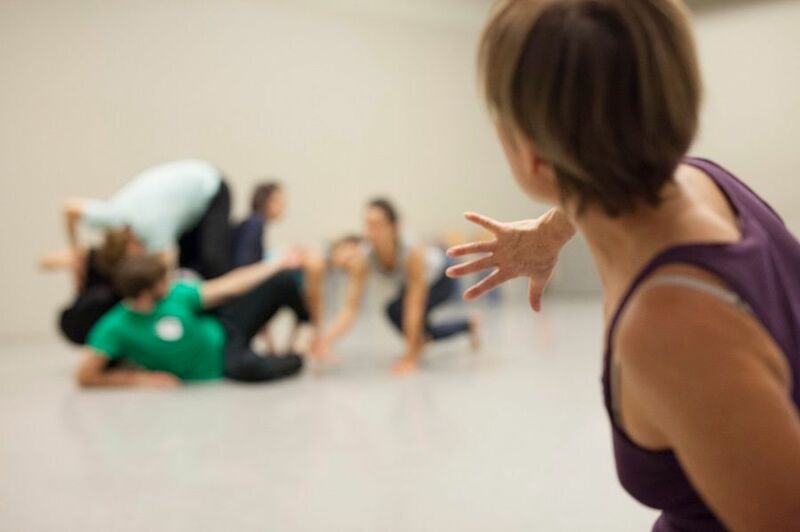 The Workshop: The performers and dancers working with the company (led by Rafaële Giovanola, founder and choreographer), will share the tools they used to create this piece through a dedicated 3-hour workshop meant specifically for professional contemporary and classical dancers. This workshop will involve movement and will focus on the ‘exhaustion of repetition’ with pulsations that are concentrated in the spine. It will involve engaging with the body and breath in specific ways, and observing and learning about the consequent transformations caused in the body afterward. In the workshop, the group will build on the idea of generating energy by working with pulsations. This energy then becomes the starting point to initiate a fresh choreographic composition. Some training and a willingness to work with rigor, focusing on movement is the primary requirement for participation in this workshop.